Should you buy? 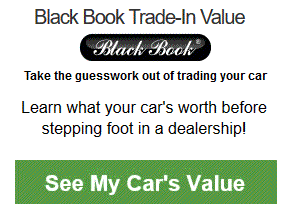 Find out below..
Before you walk into a dealership, price shop Online first. Avoid overpaying by use pricing services such as Car Clearance Deals, Edmunds, CarsDirect & MotorTrend. 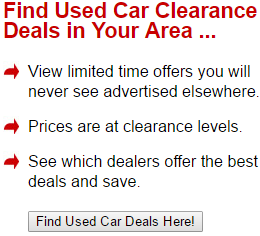 Visit Car Clearance Deals, Edmunds, CarsDirect & MotorTrend. The 2017 Kia K900 is a luxury, four-door sedan that's rated #8 on US News & World Reports rankings of Best Luxury Large Cars. It has fantastic standard features both under the hood and inside the refined, elegant cabin, and with a low initial MSRP, it's one of the best values out there, especially when compared to its more expensive competitors. Much remains the same from the 2016 model year, but two notable improvements are the addition of two standard safety technologies – blind spot monitoring and rear cross traffic alert. Its sleek silhouette and smooth curves from the back to the front look elegant and allow the wind to travel over the gradual, graceful lines of the vehicle's shape, increasing aerodynamics. It's simply a beautiful car from the outside – the exterior is well-designed and proportional. The interior of the 2017 Kia K900 is impeccable and provides the driver and passengers with generous comforts. The seats are ventilated, heated or cooled, depending on your preference, and provide a generous amount of lumbar support with specialized air cells within the seats. The driver's seat, for example, includes an available 16-way adjustable power seat, so it conforms to your sitting position in the most comfortable way possible. Wood trim and aluminum alloy accents are also available to further refine the cabin's appearance. For some trims, the rear seats are also power-adjustable to ensure optimum comfort for your passengers. This luxury sedan has a foam-padded cabin which provides exceptional insulation from road noise, and the fully independent front and rear suspensions absorb the shock from bumps and dips. The side windows and windshield are also laminated, further shielding the driver from unwanted road noise. A sunroof that extends to the backseat affords beautiful views of the outdoors for drivers and passengers. The natural light and expansive views make the interior feel incredibly spacious. The standard engine for the 2017 Kia K900 is a 3.8L V6 that offers plenty of power at the wheels. It produces 311 horsepower and 293 lb-ft of torque, making it fun to drive, no matter where you're headed. The engine is mated to an 8-speed automatic transmission, with shift by wire technology, meaning there are no mechanical components between the transmission and gear shifting lever. It's all done electronically to find the most optimal ratio. Another available engine is the 5.0L V8, that roars at 420 horsepower and 376 lb-ft of torque. There are only three trim levels available for the 2017 Kia K900, and even at the base model, there are numerous standard features that cost extra money on other vehicles. The base model includes most driver assistance safety features, a premium audio system with 14 speakers, a 9.2-inch touchscreen, HD Radio, built-in Bluetooth, voice command navigation, a smart power trunk and interior accent lighting, just to name a few. Even the rear seats are heated for the base model. A discrete projection of essential driving information, such as speed, navigation directions, and cruise control appears on the windshield. It's fully customizable by the driver and it automatically adjusts its brightness based on whether you're driving during the day or at night. The driver can toggle it on and off as they see fit. The 2017 Kia K900, like many other car manufacturers, includes a host of safety technology features, designed to assist the driver during everyday situations. Things such as blind spot detection, lane keeper monitoring, front and rear camera displays, advanced cruise control, and rear cross traffic alert help keep the driver and his passengers safe at all times. The best part is, they're all standard features on every trim level of the K900. With many other car models, you'd have to go up a few trim levels to get the most premium options, but not with this vehicle. For the V6 Luxury and V8 Luxury trim levels (both are one step above the V6 Premium base model), they include a 17-speaker surround sound system designed by Lexicon. It features an external 900W digital amplifier and subwoofer to provide immersive, dynamic bass and clear high frequencies so your music sounds better than it ever has. The base model MSRP lists the K900 at $49,900. 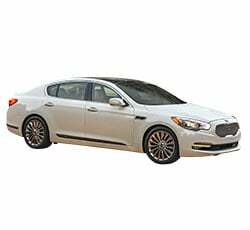 Compared to its competitors, namely the Cadillac CT6 ($53,795) and Acura RLX ($54,450), the 2017 Kia K900 is much less expensive. Furthermore, even with the base model, there's a ton of standard features, so you don't need to add any additional packages onto it. It is the whole package, and the starting price is much less than luxury sedans from other brands. To avoid overpaying on a new car, shop prices online first. Get up front pricing before you walk into a dealership. We recommend the following free services; Car Clearance Deals, Edmunds, CarsDirect & MotorTrend. 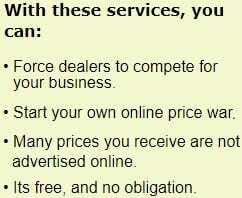 These free services will offer you the lowest prices and supply you with multiple competing price quotes. You will know the best price before you visit the dealer. If you're a person who really enjoys an all-wheel drive luxury sedan to provide extra traction through the snow or rain, you're a bit out of luck with the K900. These luxury sedans are only available in rear wheel drive layouts. Due to the powerful engines under the hood of the 2017 Kia K900, a trade-off for power and torque at the wheels is fuel efficiency. It's not all that fuel efficient, it gets average EPA ratings – the V6 gets about 17mpg in the city, 25mpg highway and 20 combined. The V8 is even lower, about 15mpg in the city, 23mpg highway and 18 combined. These aren't that impressive, but it's a trade-off for having a powerful engine. Some reviewers have noted that due to its soft suspension, it creates a type of handling that's not as sporty or tight as it could be. Through turns especially, it doesn't feel as grippy as a BMW or Audi, but it's also a fraction of the price. In some situations, especially driving around town, some reviewers have stated that it feels too light, not tight enough and with not enough feel for the driver. This is something that you would need to evaluate yourself when you go for a test drive. Light steering means different things to different people – for some, it might be bothersome, but for others, it might just be no big deal. For the price, the 2017 Kia K900 is tough to beat, especially when you consider all of the available standard luxury options. It's better equipped and almost $4,000 less expensive than its closest competitor, the Cadillac CT6. They're also less expensive than Audi, BMW or Mercedes-Benz's offerings. In addition, for most of these vehicles, you have to add on packages to get equipment that's already standard on the 2017 Kia K900. Stop by your local Kia dealership to test drive a brand new 2017 Kia K900 and see for yourself how it compares to the competition. Enjoy its sophisticated, refined interior, comfortable seating and its powerful engine under the hood.